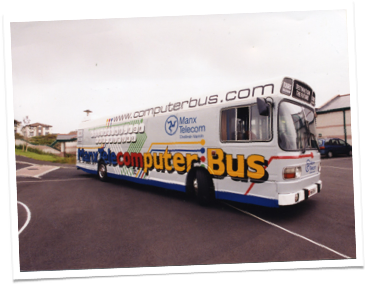 Equipping the bus with computers took place during August 1998 at the then brand new Ballacottier School in Douglas. This ‘official’ first view of the bus was taken by photographer Bill Dale in the playground of the new school. 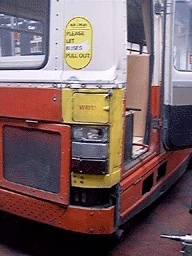 This view went on to feature in several iterations of the ‘I’ve seen the FUTURE’ computer bus badges (inset). 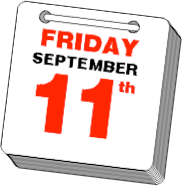 The launch itself took place at the photogenic Sulby School on September 11th 1998. “After nine months of hard work and preparation, the culmination of a unique sponsorship project involving the Isle of Man Government Department of Education and Manx Telecom was unveiled at Sulby primary School. The Computer Bus is a state-of-the-art mobile classroom, which will visit all of the Island's 35 primary schools on a termly basis, under the supervision of Alex Townsend, the former head of Information and Communications Technology at St.Ninian's High School. Secondary schools are also set to benefit from the project with the Computer Bus able to support special projects like field trips to remote locations on the Island. Speaking at the launch of the Computer Bus, Manx Telecom's Managing Director Ron Thomas said, "The development of communications technology is advancing rapidly and its applications are becoming an integral part of everyday life. It is therefore essential, for the continued prosperity of the Island, that the required skills are developed in our schools for the workforce of tomorrow. The Computer Bus is an ideal medium to ensure that communications skills are developed at an early age. 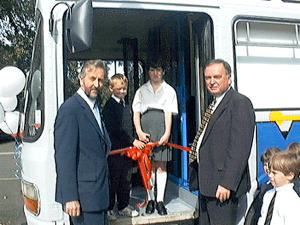 LEFT: Manx Telecom's Managing Director Mr. Ron Thomas and Director of Education Mr. Ralph Cowin, assisted by two Sulby students, cut the ribbon launch Computer Bus in the traditional way! The bus is the first of its kind in the British Isles and its main objective is to compliment the existing Information Technology and Communications resources available in local schools. The computer bus will deliver exciting sessions to pupils in a carefully planned partnership with their teachers. Manx Telecom has ensured that the bus is equipped with all the latest communications technology, which will allow access to the Internet, e-mail and videoconferencing links using high-speed digital ISDN lines. At the end of the school day, teachers will be invited back on board to refine their skills in ICT. The transformation of the twenty-one-year-old former Isle of Man Transport single decker into the futuristic Computer Bus has been truly astounding. The vehicle now contains 20 Apple Mac G3 computers with flat screen AppleStudio Display monitors all linked up to the very latest telecommunications hardware. Manx Telecom's expertise in the field of communications makes the venture a perfect opportunity for the company to support Education within the Manx community." Speaking on behalf of the Department of Education, John Thornley, Adviser for ICT commented: "This project is an important part of our strategy to maintain the highest teaching and learning standards in our schools as well as providing a means of responding rapidly to the very latest technological developments." RIGHT: Computer Bus also features a 'DisplayMate' interactive whiteboard, visible at the front end of this view. ABOVE: Balloons gave away that this was a special day. 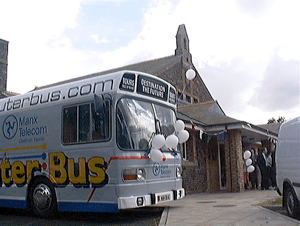 The bus is posed outside Sulby school on September 11th 1998. Later in the day, things looked better, with the wall displays a little more complete and the 21 Remploy ‘BSE’ chairs in place. At this time the Apple G3 minitowers sat on foam pads on the floor, strapped to legs to stop them falling over... Dexion racking was to follow during the next year.